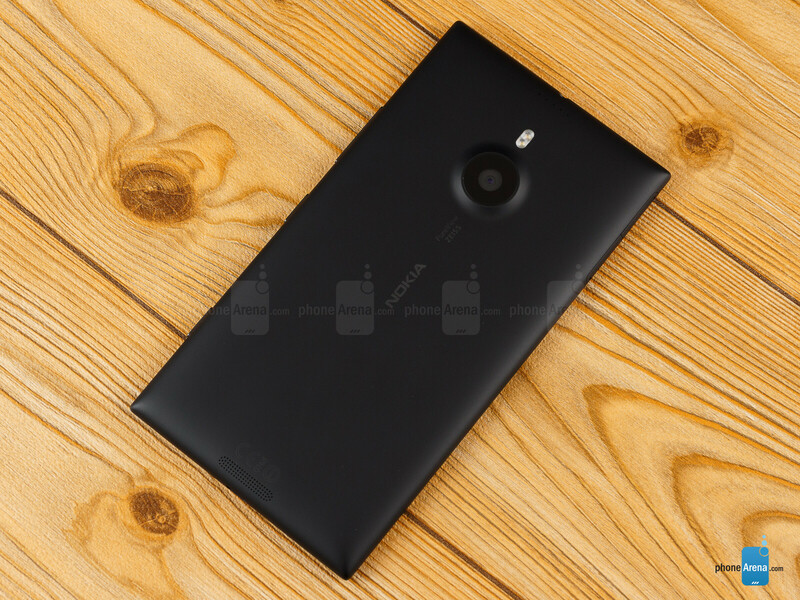 The Lumia 1520 takes Nokia’s familiar pillow shape design and stretches it out to its limits. 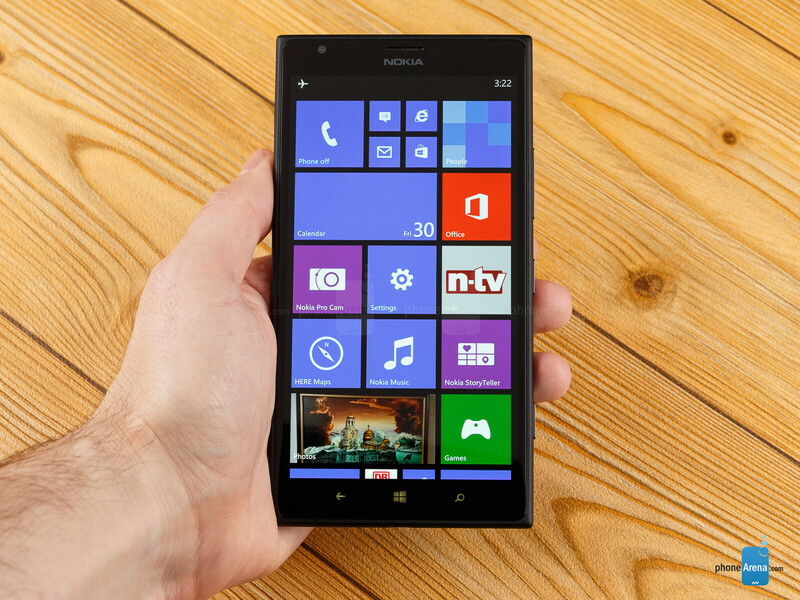 This is the first Nokia phablet, but even if you are used to using large phones the Lumia 1520 is shockingly big. The large size might make it awkward to hold and carry around, but in turn means that you get to have a gigantic 6-inch 1080p display with you at all times. 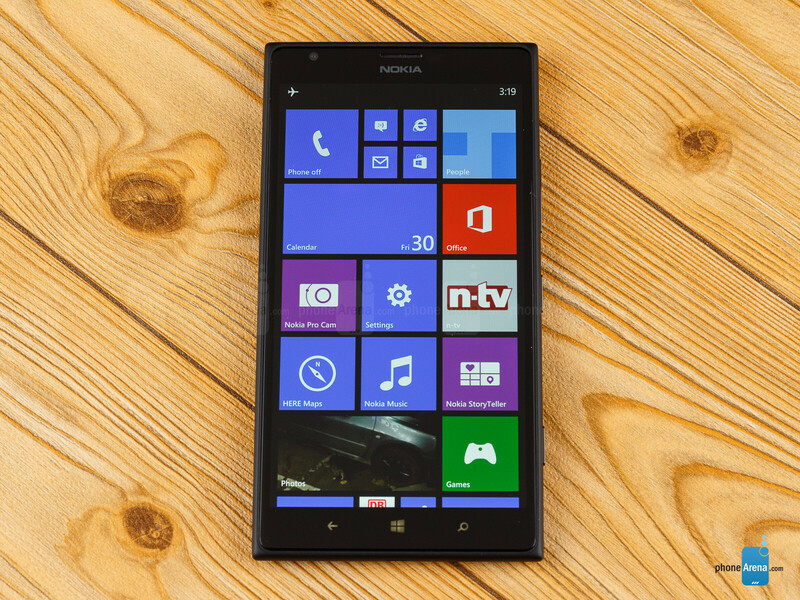 This new size is also new not just for Nokia, but for Microsoft and Windows Phone as well. The Lumia 1520 is also the first Windows Phone phablet and Microsoft’s platform adjusts to that with more Live Tiles on the screen and more information you can see in one glance. The Lumia 1520 has more going on than just the screen, though. It also features a very ambitious 20-megapixel PureView camera with ZEISS lens as well as a powerful quad-core Snapdragon 800 chip. An AT&T exclusive, the Lumia 1520 is coming to the United States on November 22nd, but we already have a preproduction version in our hands and it’s time to take it for a spin and see what we can expect to see in the final device. There’s no going around the fact that the Lumia 1520 is a ridiculously big device. We ought to warn you about this before getting into any further detail about the design. It barely fits in a regular jeans front pocket and you’d better not have the misfortune to wear skin-fit clothes or pants with small pockets - it simply won’t fit in there. In daily use such a large size looks awkward, but more importantly it makes basic single handed operation a struggle. To its excuse, we ought to mention there actually are even larger phablets out there like the Sony Z Ultra, and the HTC One max nearly matches it in size. 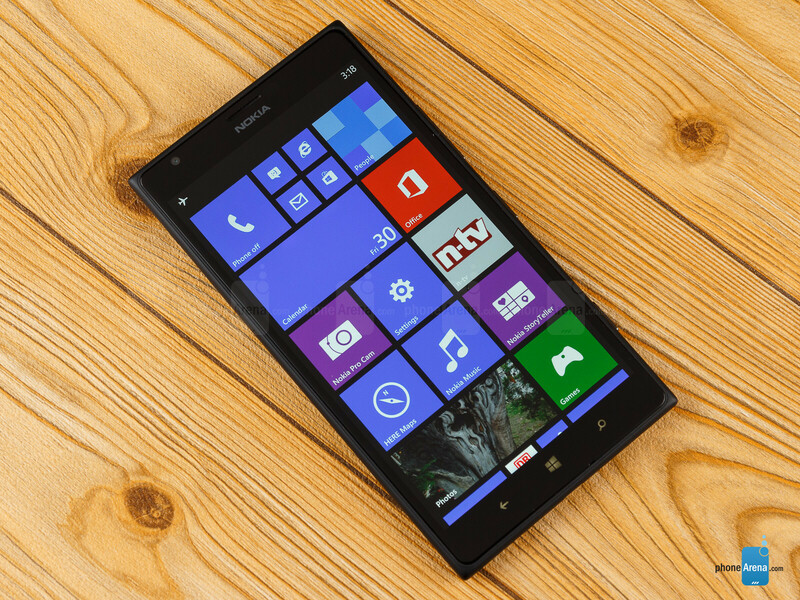 With all this in mind, we have to admit that the Lumia 1520 is one sleek, svelte smartphone for its size. The slim body is made out of polycarbonate and it does not feel cheap in any way. 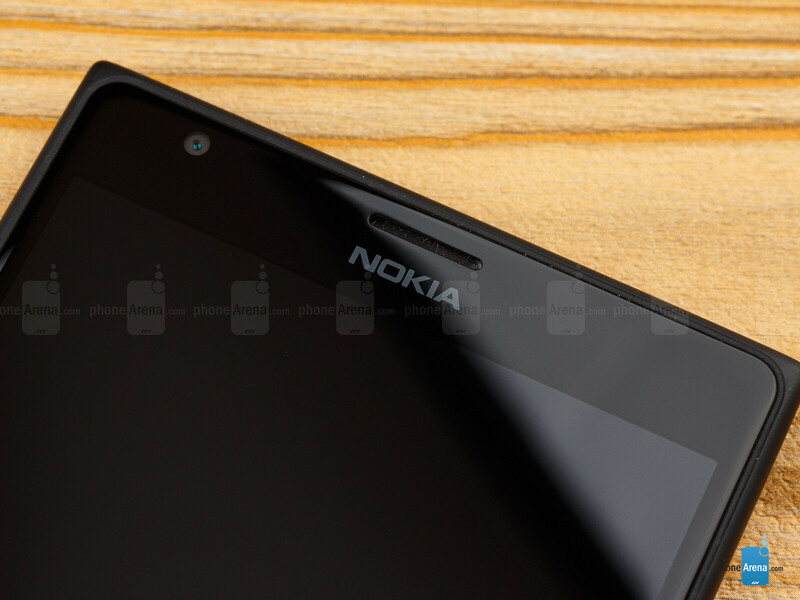 With its very slight curves and slight pillow shape, it’s a typical Nokia design and it looks great. The phone comes in a matte black and yellow, and glossy red versions. It’s 8.7mm thin, but weighs nearly half a pound. All this weight is distributed unevenly as the bulkier top overweighs the bottom where you hold the device, so you should be extra careful when you hold the device with one hand - a few times we almost dropped the device as it started tipping over. Right below the screen there are the three standard Windows Phone capacitive navigation keys that look strangely small on such a large phone. Physical keys are made out of plastic and luckily all within easy reach and very clicky, easy to press. The large display is the bread and butter of any phablet, and it’s no coincidence that Nokia decided to feature its first full HD 1080 x 1920 pixel screen in such a large phone. With a pixel density of 368ppi, it’s a very sharp and detailed screen that will not disturb your eyes with any jagged icon edges or janky text. The size is an impressive full six inches, larger than most phablets out there, and our initial impressions with the non-final device that we have is that it’s a nice, vivid screen that performs very well in the outdoors. On board are Nokia’s ClearBlack technology, essentially a polarizer that reduces reflections and contributes to the outdoor viewing experience, super sensitive touch so you can use this with your gloves on in the winter, and Gorilla Glass 2 screen coating. We love the option to manually adjust screen color temperature and saturation on the Lumia 1520. You can pick overblown colors that look unreal yet impressive, or you can go for a more realistic, natural tones (that we would recommend). Stay tuned for our final review in a few days when we’ll give you much more detail about the screen’s actual quality and color reproduction. When I hear 20 MPx camera with Carl Zeiss...yup no words for that just AWESOME! Why author mentions many times that its very big. shockingly big etc.. Note 3 is also very big and you cant use it with single hand unless you have huge hands. People who wants huge phones know this but they still buying them because they are OK about these limitations. May be these tech bloggers should concentrate on how the device works in every other aspects because users know about the size already. Yeah, actually I tried to use a Note 3 in a shop with one hand and I succeded! You should really just go and try to use a phone with a big screen. But Galaxy Mega and Z Ultra are too big even for me. Lumia 1520 is much bigger than Note 3 and you can use Note in one hand. The Lumia 1520 is roughly the same size as the Galaxy Mega. It is "shockingly" big, but that will not keep me from getting one. 20mpix? What is wrong with 1520 camera - purple skies, purple video, shaky video and lazy autofocus. Shame. looks okay, just wish Nokia would change up their design a bit. Its getting old. good! they stuck with this design for too long. I hope they don't change it. Most people don't get bored with phones designs quickly. Otherwise iPhones won't still sell well with the same design for 4 years. oNEWorld i actually love this design, I had an eyegasm wen i first saw it! But respect ur opinion. for me, the Lumia 800 is still a sensual eyegasm, I wish they had a WP8 device with all design aesthetics of L800. That thing is just awesome! PA..when you review the lumia 1520 ..make sure to use red or yellow :/ not black ! I like this device...its Nokia's first and excellent attempt in phablet category...I may own a Nokia device in future when WinRT and WinPhone merge at some time in future...for now...I am sure 1520 will make a excellent gift for WP buffs. - "All this weight is distributed unevenly as the bulkier top overweighs the bottom where you hold the device, so you should be extra careful when you hold the device with one hand - a few times we almost dropped the device as it started tipping over" It's called physics, not the weight is unevenly distributed! The phone would obviously tip over if you keep your hand on the down part. Its a big phone. According to your reasoning, Nokia should distributed most of the weight in the down part of the phone so it does not tip over. There are many Android Phablets, and trust me Windows OS is about to make waves. I love Android own GS3, and Now a Nexus 5, and my future holds a Note 4, which very well could be my last Android device if windows 9 does what it should. I see myself realisticly owning an Android, and a Windows phone at the smae time. I agree, and I have been saying it for 2 years now, when it was unpopular. The Samsung Focus was smooth with live tiles, and I said that when this starts to mature it will be a force to be reckoned with. The live tiles were smooth and had an appealing look. The phone was its draw back. Nokia is firing on alll cylinders with this! What is going on, Victor H is actually writing kinda objective and good review? I am used to see him doing anti-Nokia articles for years! Don't forget 4x HAAC microphones which makes this devices the best in audio recording and calling quality. I agree this was the first good preview by Victor H about Nokia devices - now he even mentioned HAAC microphones which he didn't mentioned before with Nokia 808 PureView and Nokia Lumia WP8 phones (there is HAAC mics with all Nokia Lumia WP8 phones except Lumia 520/521). 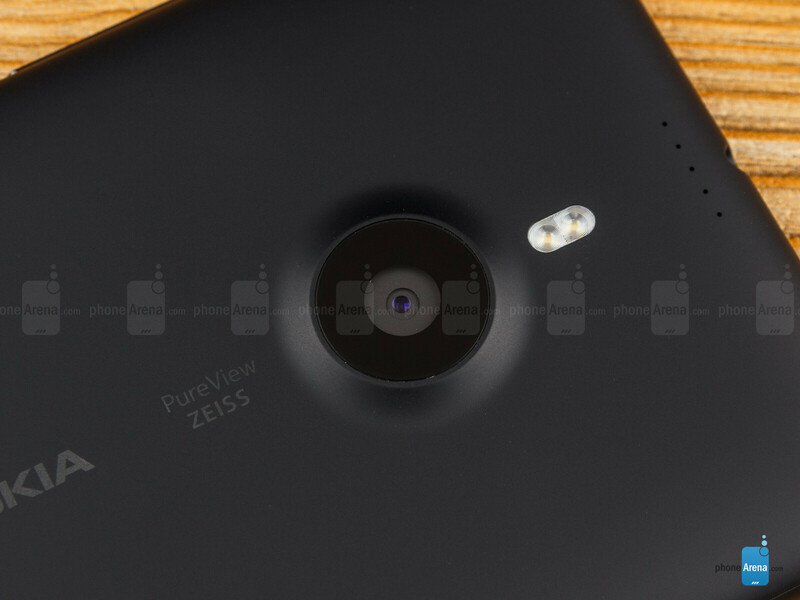 Here is what Victor H wrote in this preview about HAAC mics of Lumia 1520: "Sound recording is superb on the Lumia 1520. The handset features four HAAC (High Amplitude Audio Capture) microphones that are able to record a higher sound amplitude. That should come particularly handy for club and concert goers as recordings there will turn out actually completely usable and much cleaner than on a regular smartphone that at high volumes records almost useless crackling sounds."